Published on 13 February 2012. 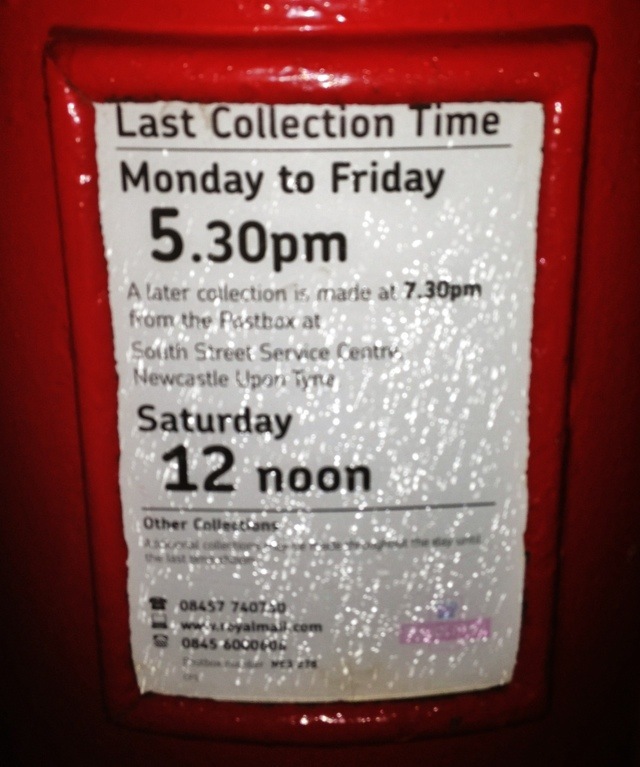 Does anyone remember when and why the Royal Mail stopped listing all collection times on postboxes? I’d imagine it’d be useful info if you wanted to give your postie a parcel that wouldn’t fit in the box. I think that this little info notice used to be called a “Collection Plate”: I remember the homonymous connection with church amusing me as a child. Is that right, and has the name changed now that the function has (a bit)? This 1,524th post was filed under: Photo-a-day 2012, Royal Mail.